Note: If you experienced an error at the time of payment, do not make a second payment. We do not accept credit cards - make sure you are using a debit card. 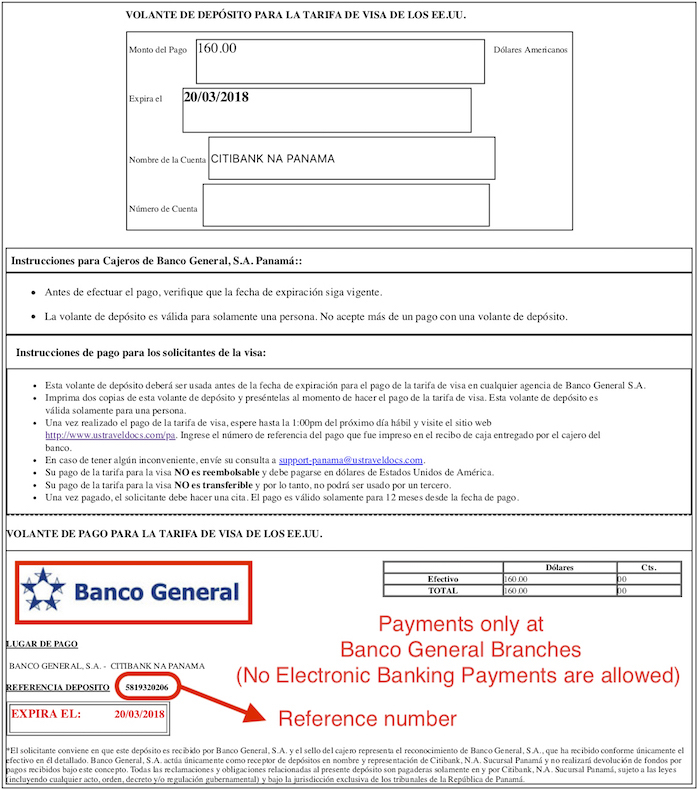 If you are using a debit card, contact us at support-panama@ustraveldocs.com. You can pay your nonimmigrant visa application fee with cash at Banco General or at one of the corporate branches of Citibank in Panama. Before going to a branch, you must print the applicable U.S. visa application deposit slip available below on this page. Take the printed deposit slip with you to the bank. If you do not have the deposit slip or if you have multiple copies of the same receipt, you will have to return at a later time to pay the fee with the proper documentation. Failure to follow these instructions can lead to delays in your ability to schedule an appointment. 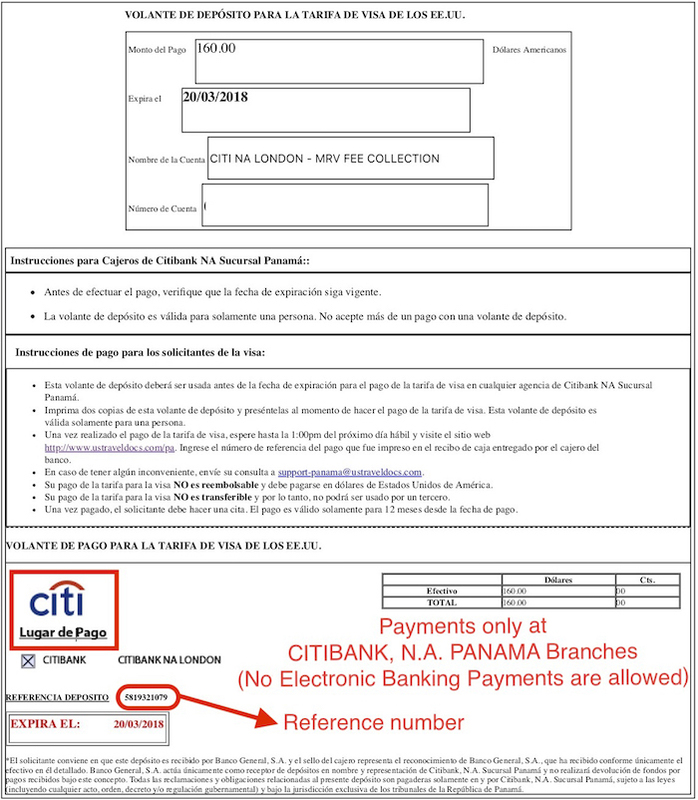 Upon receiving of your payment, Citibank or Banco General will issue you your receipts. Save your receipt. It cannot be replaced if it is lost. You will not be able to schedule an appointment without your receipt number.